It’s been a while since I visited a museum on the list, so I was glad when Wist suggested we tackle one this weekend. 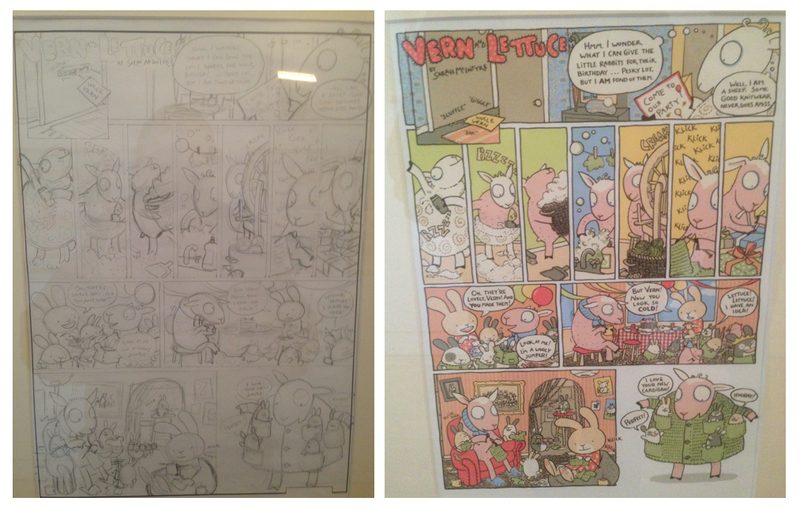 We chose the Cartoon Museum, just off of Museum Street. The museum itself is dwarfed by the British Museum behind – but what it lacks in size it doesn’t lack in spirit. 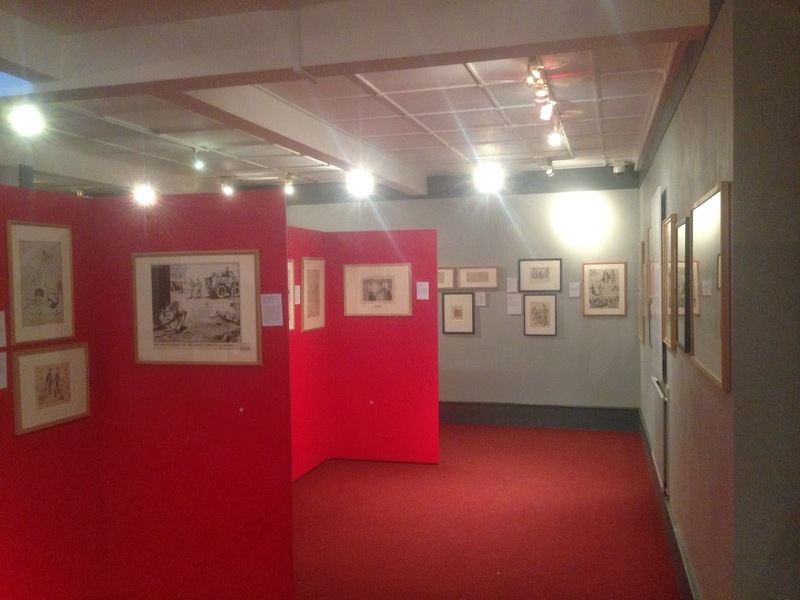 On the ground floor, you can learn a little about the history of cartooning. 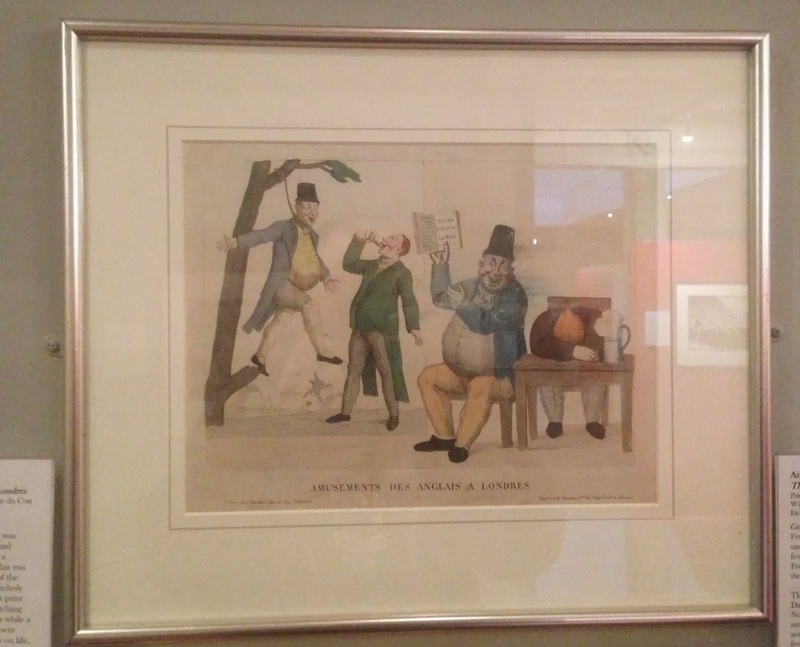 Caricature developed in Italy (Italian ‘caricare’ means to load, or exaggerate) and was spread to UK polite circles by young gents that had picked up their technique when on their grand tours. William Hogarth had little time for caricature – regarding it a ‘foreign art’. He created a new form of picture story – and is widely regarded as the first comic artist. Amateur artists Townshend, Bunbury, Woodward and Nixon transformed the art further – introducing a lighter, more playful tone. James Gillray perfected the art – becoming known for his power of imagination and cultural commentary. 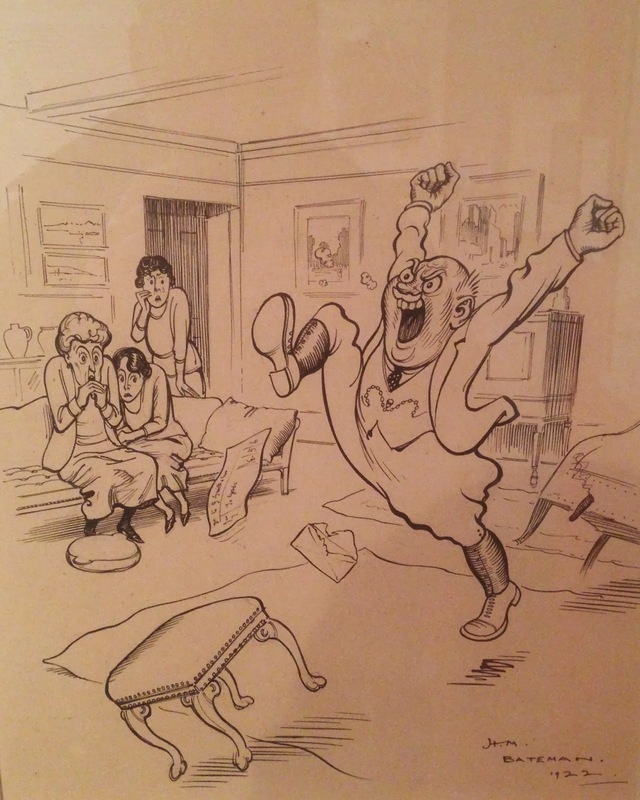 I thought this cartoon (etched by an anonymous individual) was interesting – commenting on the belief that the English were a particularly suicidal nation, due to the gloominess of the English climate and the melancholy of the national character. Joke cartoons continued to appear in magazines and newspapers throughout the twentieth century. Carl Giles work was one such success story in this genre, famed for creating the Giles family. In the 1960s and onward, Britain began to leave behind the deference and social conformity that had dominated society during the world wars. 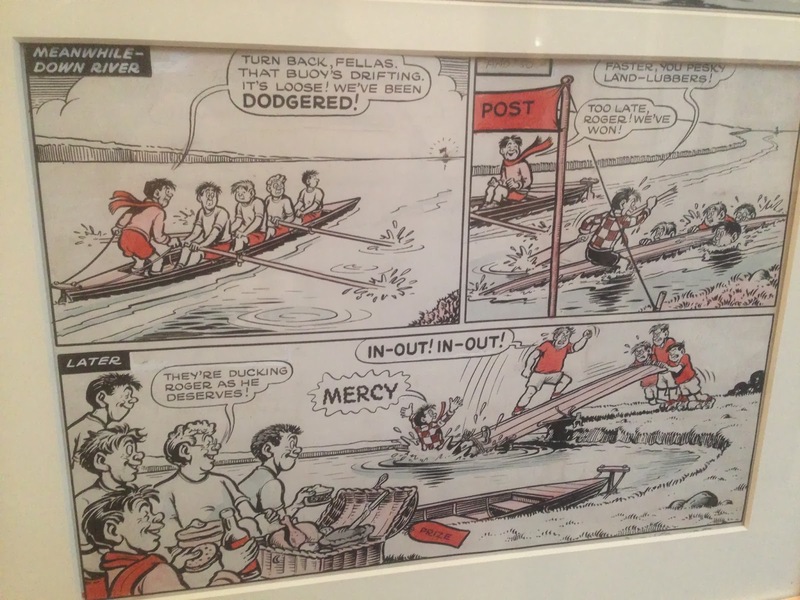 Edgier cartoon satire began to appear, of which the most notable was Private Eye in 1961. 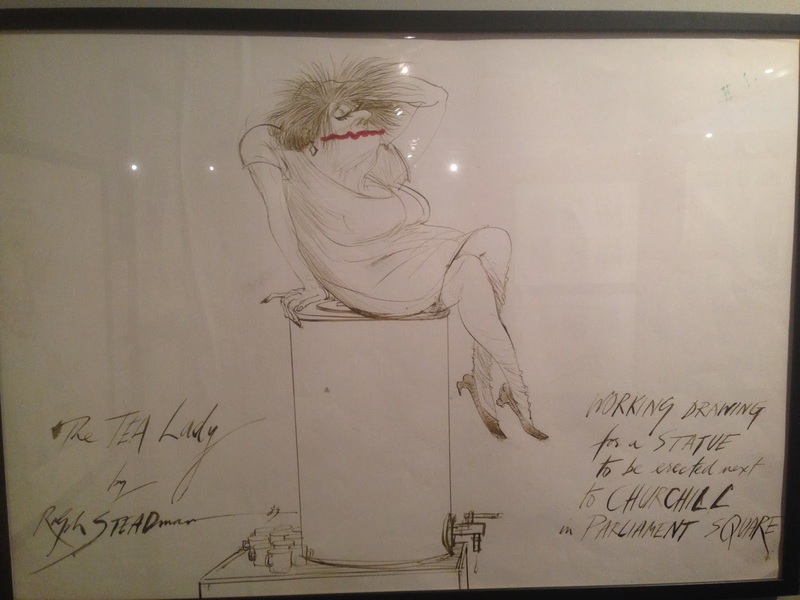 Artists including Ralph Steadman and Gerald Scarfe voiced their own discontent through angry, violent drawings. 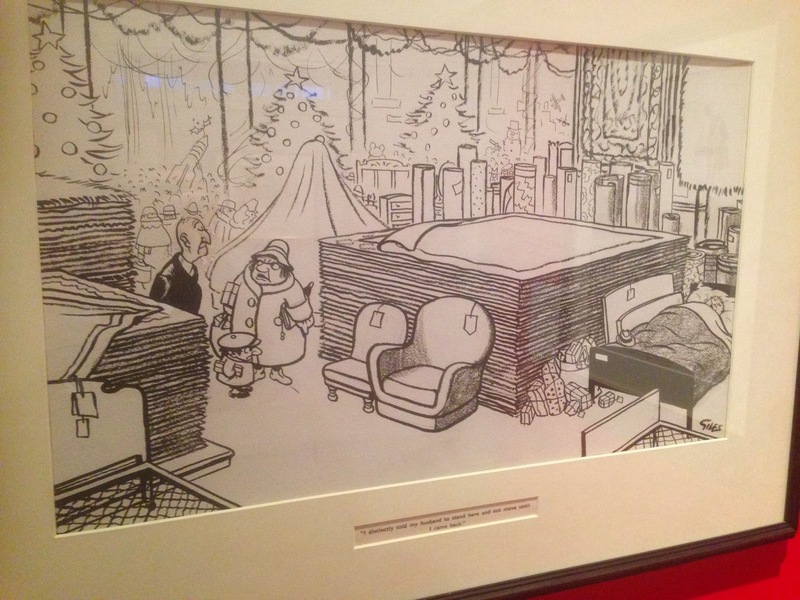 For such a small museum, the quantity of beautiful cartoons really is quite astounding. 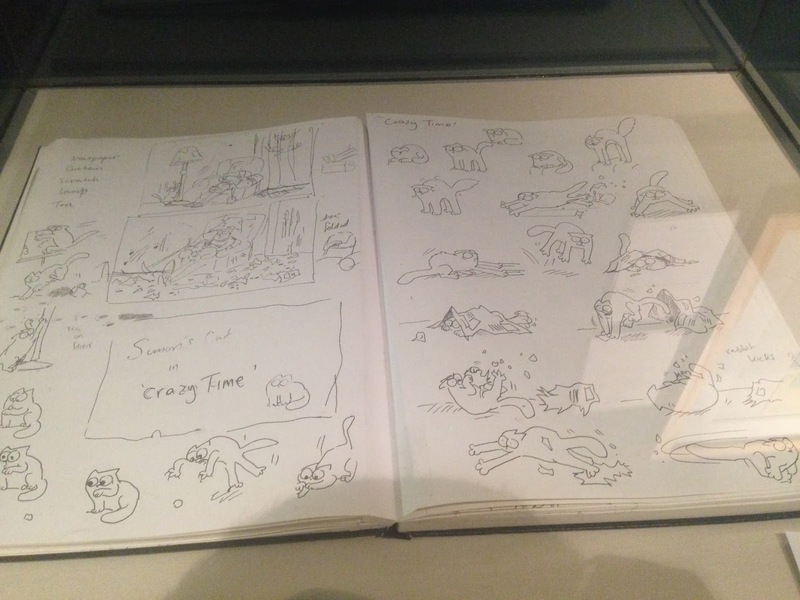 It was great to see the original sketchbooks of Simon Tofield, who created ‘Simon’s Cat’. 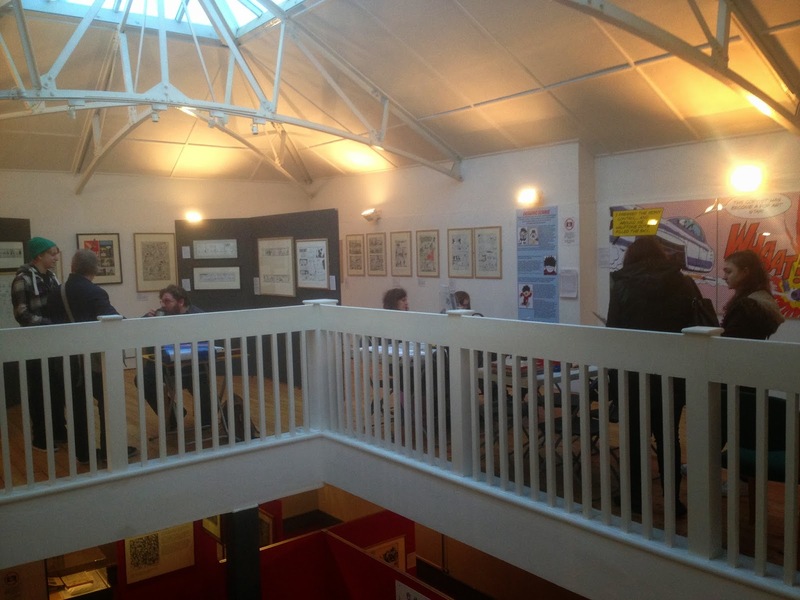 Upstairs, fun facts and layouts of modern comics were shared. We learnt that Korky the Cat was the staple feature of the Dandy front page, until 1984 when Desperate Dan forced him off of the top spot. 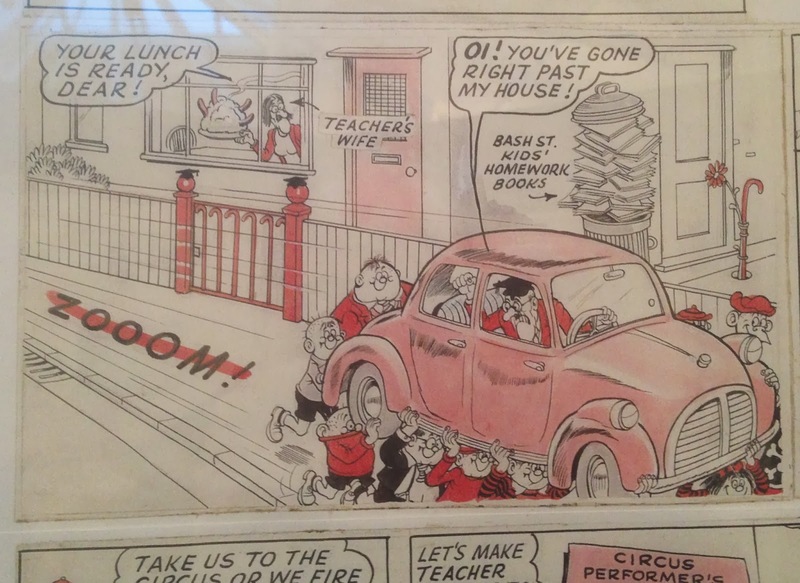 And that in certain editions of the Beano, there are strong similarities between the Bash Street Kids Teacher and his wife. Note the tash. As ever, it was great to notice the artists own notes on their artwork. I find artist’s drafts and work-in-progress layouts fascinating. Roger the Dodger was a cartoon character I’d completely forgotten about. The museum is a whirlwind of nostalgia. 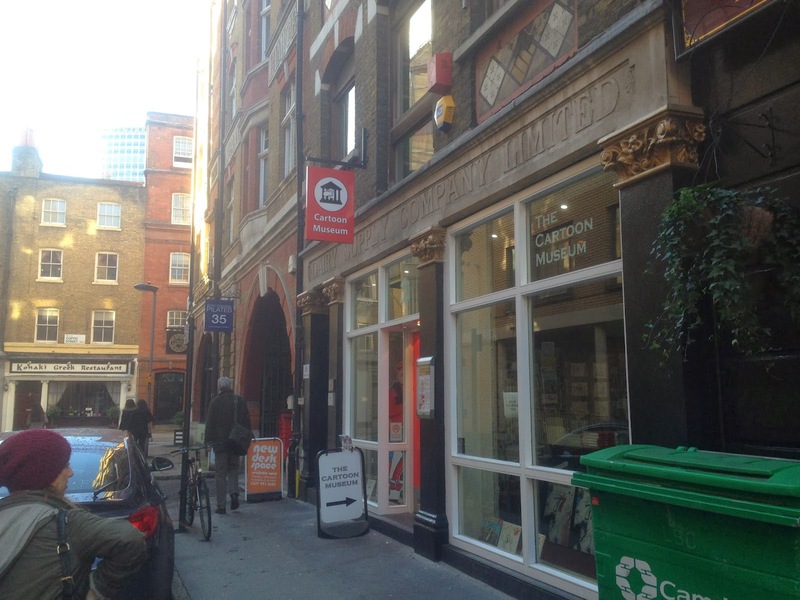 If you’ve every read comics (as a child, or an adult) its worth popping down for a visit. It’s £7 a ticket, which felt fairly steep considering the size of the place, but niche museums like this don’t get an awful lot of funding so I guess it’s understandable. #1. The wholesome comic ‘Boys’ Own Paper’ (which featured tales of sporting prowess and imperial adventure) was introduced after fears that the dark and lurid ‘Penny Dreadfuls’ would have negative effects on impressionable young adults. #3. Christian groups, fearful of the influence of American horror comics imported into the UK, decided to launch their own comic book in response. ‘Eagle’ subsequently raised the bar for the entire British comic genre. #5. 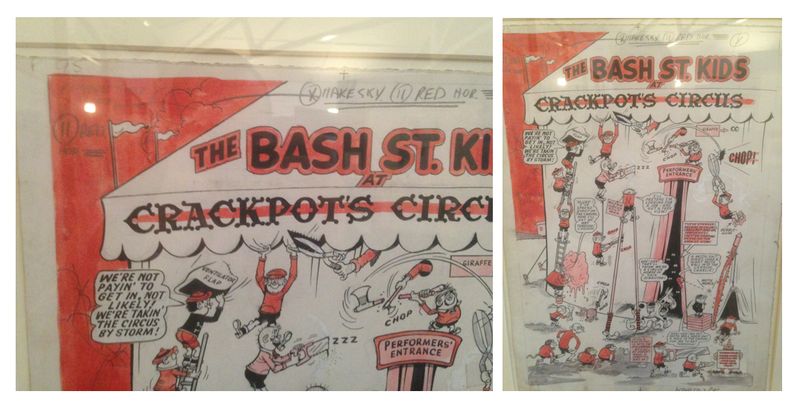 The original name of the cartoon strip ‘The Bash Street Kids’ was ‘When the bell rings’ but was changed two years after launch.